Now that fuel prices are giving the media something to shout about, the wave of press interest has finally rolled up on our shore. 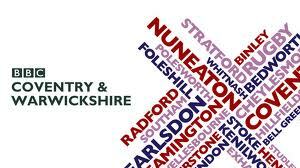 This morning, yours truly was interviewed by BBC Radio Coventry and Warwickshire on Annie Othen’s show about Hypermiling. This isn’t the first radio interview I’ve done, and it went pretty well if I do say so myself. If you want to listen again click the Listen now button and see what Hypermiling is all about. It only available for 7 days so make sure you tune in. Like most people, I hate the sound of my own voice and therefore won’t be. Thanks to the producers of Annie Othen’s show for inviting me on. Our Hypermiler MPG Calculator app for Android now available in the marketplace!